Modeselektor rocked the tiny Echoplex for a solid 98 minutes. 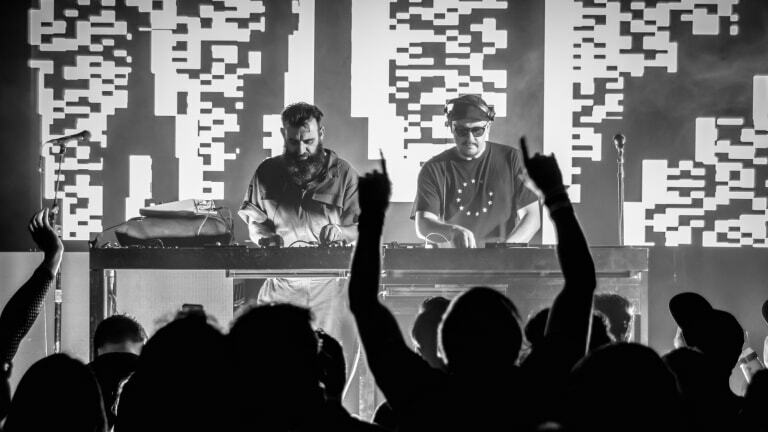 In the tiny confines of The Echoplex, Silver Lake&apos;s popular concert venue tucked under the over-crossing of Sunset Blvd, the German IDM duo, Modeselektor played their single L.A. performance in support of their recently released mini-album, Who Else. The first somewhat full-length album in almost eight years spanning the length of just 34 minutes and with a scheduled set time of 90 minutes, the German duo was expected to easily cover the entire album plus much more and that they did. At a start time of 10:30 PM, the guys didn&apos;t jump right into the heavy, uptempo stuff. The duo instead kicked off the Thursday night performance with an instrumental version of the hilarious rap tune, "Pretentious Friends." 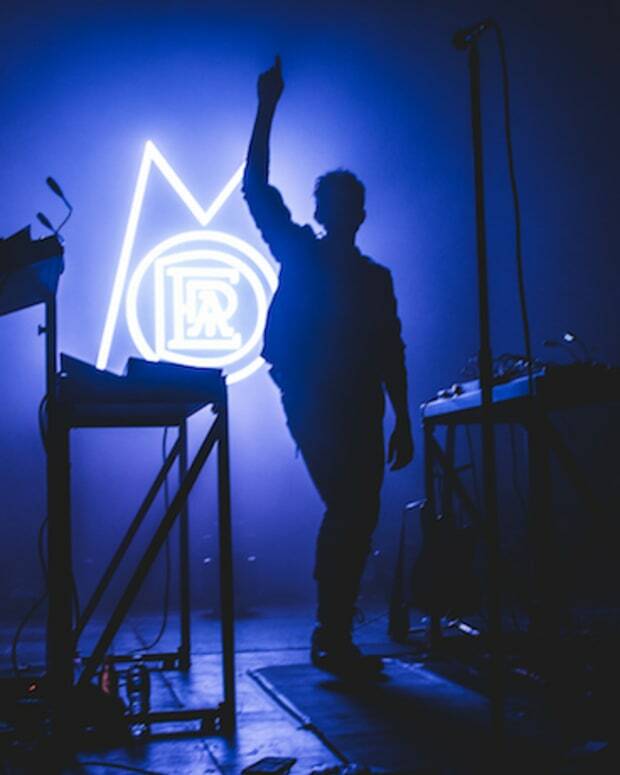 Their arms were raised wide across the backdrop of a blue, flickering LED screen containing the well-known monkey artwork of 2011&apos;s Monkeytown. 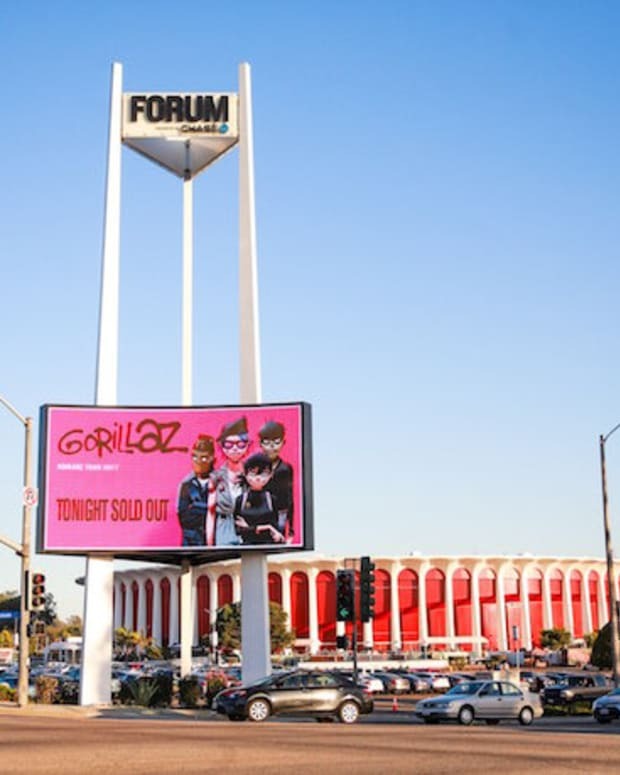 A clear signal that tonight&apos;s show was open season on their back catalog. Twenty minutes into their set, the oddly titled, "WMF Love Song" fills the room with its roaring sirens and rave-style synth stabs. A definite indication that things were about to get heavy as the next 30 minutes broke the room open with big, driving industrial style techno which could easily fit in at Berlin&apos;s techno dungeon, Berghain. 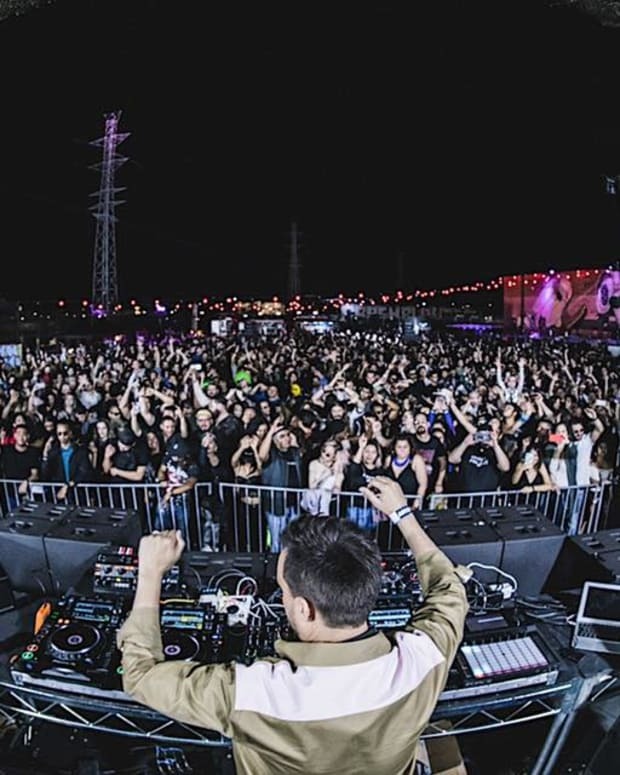 Topping off their masterful set of techno was an astounding live version of "I Am Your God." A performance that one could argue was the peak of their night and maybe should&apos;ve been reserved for the night&apos;s final track selection. Instead, they peaked slightly early with extreme intensity as Sebastian Szary stood up high and screamed "I Am Your God" into the vocoder with the utmost intensity. What followed the first 45 sensational minutes was another 45 minutes of their catalog that maybe didn&apos;t match the intensity of the first half but it certainly pleased the Mode-fans in attendance. Highlights included the new album&apos;s lead single, "Who" and their seminal classic, "German Clap." Closing the night, the band expressed their fatigue but humbly exclaimed that they would encore with one tune which garnered a few small screams so they then yelled they would finish two tracks instead and the crowd nearly roared. "Default" by Atoms For Peace was the first choice for the encore which got everyone grooving. Second on the encore plate was their own ground-breaking remix of "Prototype" which was seamlessly mixed in from the first tune. Although, the sound was abruptly cut off about half way through which left everyone slightly bewildered. All in all, Modeselektor played a dazzling set but in my humble opinion, some of the most boisterous material should&apos;ve been left for last. Also, The Echoplex could probably be left off as the venue of choice for Los Angeles. Simply too many pillars and walls that stand in the way of viewing unless you squeeze yourself into their tiny dance-floor. 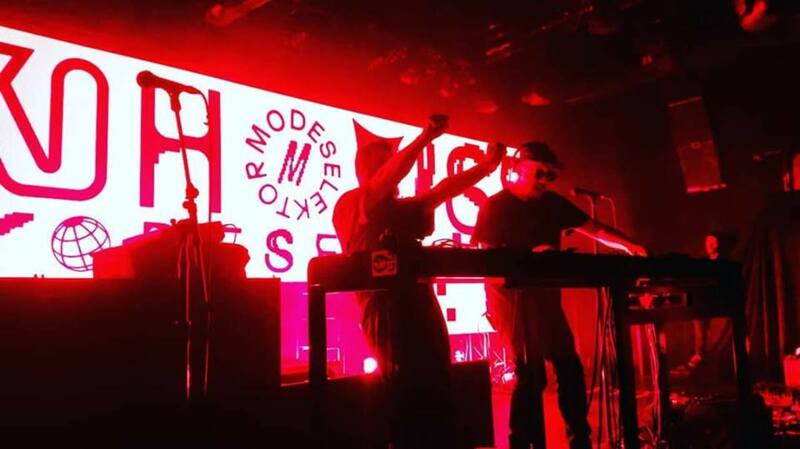 Hopefully, they will return to The Fonda Theater next time, where Moderat played a brilliant set back in 2016.